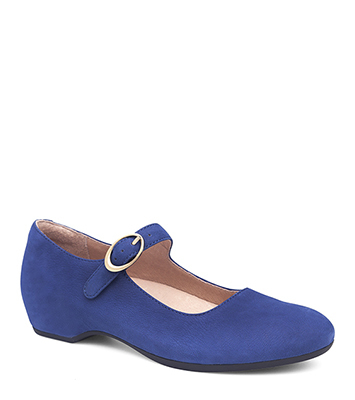 The Dansko Blue Nubuck from the Linette collection. Put your best foot forward with the Linette! This attractive Mary Jane flat was crafted with extra comfort in its hidden wedge heel. Easily add to any casual outfit for an extra dose of style.